1. The Filarial Genome Network. Wuchereria bancrofti: The Causative Agent of Bancroftian Filariasis; July 25, 2000; # 2004 LookSmart Ltd. http://www.math.smith.edu/ ~ sawlab/fgn/pnb/wuchban.html. 2. Library I. Filariasis. http://www.dpd.cdc.gov/dpdx/ HTML/ImageLibrary/A-F/Filariasis/body_Filariasis_ i117.html. 3. Laurence, B.R. The global dispersal of bancroftian filariasis. Parasitol. Today 1989, 5 (8), 260-264. 4. Siridewa, K.; Karunanayake, E.H.; Chandrasekharan, N.V.; Abeyewickreme, W.; Franzen, L.; Aslund, L. Cloning and characterization of a repetitive DNA sequence specific for Wuchereria bancrofti. Am. J. Trop. Med. Hyg. 1994, 51 (4), 495-500. 5. Long, G.W. ; Rickman, L.S. ; Cross, J.H. Rapid diagnosis of Brugia malayi and Wuchereria bancrofti filariasis by an acridine orange/microhematocrit tube technique. J. Para-sitol. 1990, 76 (2), 278 -281. 6. Sawada, T.; Sato, S.; Matsuyama, S.; Miyagi, H.; Shinzato, J. Intradermal skin test with antigen FST (FSCD1) on individuals in endemic area. Jpn. J. Exp. Med. 1968, 38 (6), 405-414. 7. Blackburn, C.R. ; Ma, M.H. 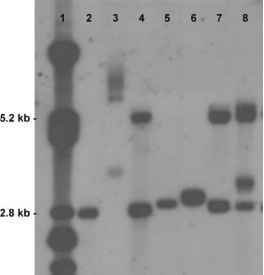 Skin reactions of natives in the Western Highlands of New Guinea to an antigen prepared from Dirofilaria immitis. Trop. Geogr. Med. 1971, 23 (3), 272-277. 8. Grove, D.I. ; Cabrera, B.D. ; Valeza, F.S. ; Guinto, R.S. ; Ash, L.R. ; Warren, K.S. Sensitivity and specificity of skin reactivity to Brugia malayi and Dirofilaria immitis antigens in Bancroftian and Malayan filariasis in the Philippines. Am. J. Trop. Med. Hyg. 1977, 26 (2), 220229. 9. Au, A.C.; Draper, C.C. ; Denham, D.A. ; Rao, C.K. ; Ismail, M.M. ; Mak, J.W. Detection of filarial antibodies in Malayan and Bancroftian filariasis by the indirect fluorescent antibody test, using different filarial antigens. Southeast Asian J. Trop. Med. Public Health 1982, 13 (1), 142-147. 10. Santos, L.G.D. ; Santos, D.S. ; Azevedo, R. Diagnosis of Wuchereria bancrofti filariasis by immunofluorescence using microfilariae as antigen. Ann. Trop. Med. Parasitol. 1976, 70, 219-225. 11. Singh, M.; Kane, G.J. ; Yap, E.H.; Ho, B.C. ; Mak, J.W. ; Kang, K.L. Studies on human filariasis in Malaysia: Immunodiagnosis using indirect immunofluorescence. Southeast Asian J. Trop. Med. Public Health 1979, 10 (4), 486-497. 12. Eberhard, M.L. ; Hightower, A.W. ; Addiss, D.G. ; Lammie, P.J. Clearance of Wuchereria bancrofti antigen after treatment with diethylcarbamazine or ivermectin. Am. J. Trop. Med. Hyg. 1997, 57 (4), 483 -486. 13. Weil, G.J. ; Jain, D.C.; Santhanam, S.; Malhotra, A.; Kumar, H.; Sethumadhavan, K.V. A monoclonal antibody-based enzyme immunoassay for detecting parasite anti-genemia in bancroftian filariasis. J. Infect. Dis. 1987, 156 (2), 350-355. 14. Zimmerman, P.A. ; Dadzie, K.Y. ; De Sole, G.; Remme, J.; Alley, E.S. ; Unnasch, T.R. Onchocerca volvulus DNA probe classification correlates with epidemiologic patterns of blindness. J. Infect. Dis. 1992, 165 (5), 964968.